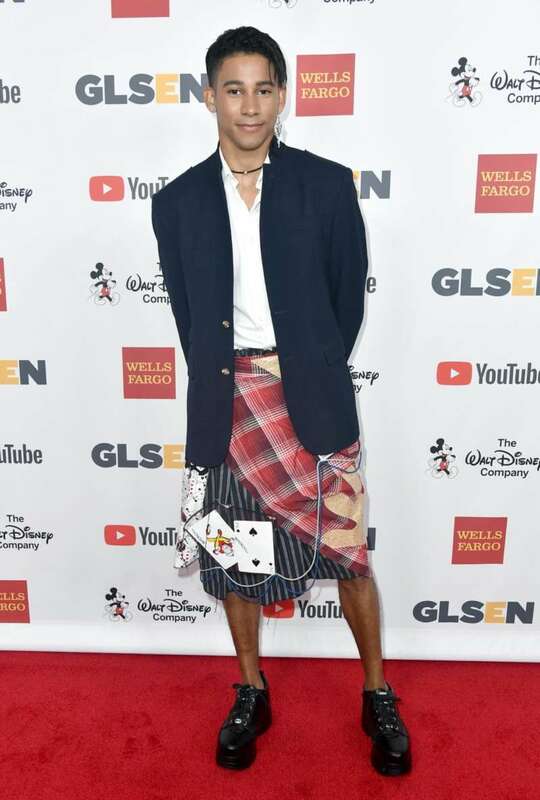 One of our favorite queer celebrities of current, Keiynan Londsale epically clapped back at a troll who mocked the Love, Simon star for wearing too many dresses. But there are plenty of popular male celebs who wear dresses, and we love them all. How pitch-perfect is that response? Lonsdale’s sassy and informative response amassed thousands of likes and retweets, prompting a wave of support from fans of the 26-year-old star, who actually released a new queer AF song and video today. We couldn’t help but think of other celebs who are currently pushing gender boundaries and the celebs who paved the way for people to express their identity in a myriad of ways that don’t fall into simple boxes of male or female. Probably one of the most famous stars known for wearing dresses, Jaden Smith has become a poster child of gender fluidity. So much so, we brought up his name when we questioned Vogue’s huge misstep when they named Gigi Hadid and Zayn Malik the cover stars for their gender fluid issue last year. Smith honestly doesn’t need the support from anyone to be himself, as he has proven time and time again he is a true individual not worried about what other people think of him. Regardless, we see you, Smith and we appreciate you. 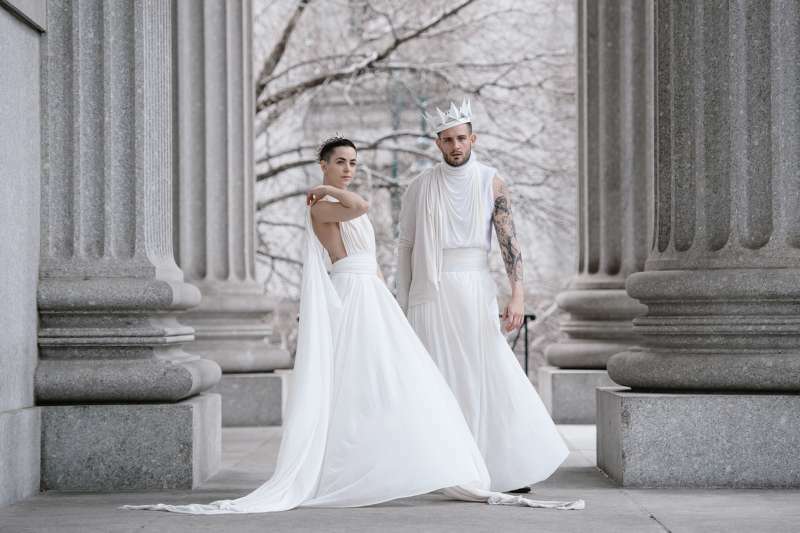 Nico Tortorella, who identifies as pansexual, has been exploring gender in his own way, especially with clothing. On probably one of the biggest days of his life — his wedding to longtime partner Bethany C. Myers — he wore a gorgeous white dress that left many fans gagged. 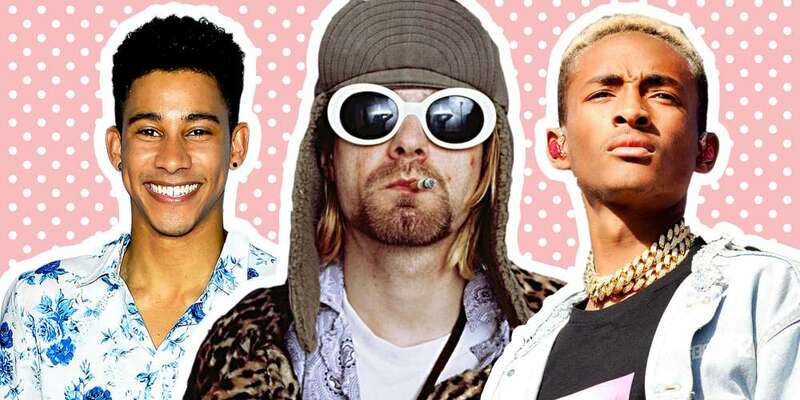 If the late and great Kurt Cobain were alive today, he may be surprised that he left an indelible mark on fashion in more ways than one. 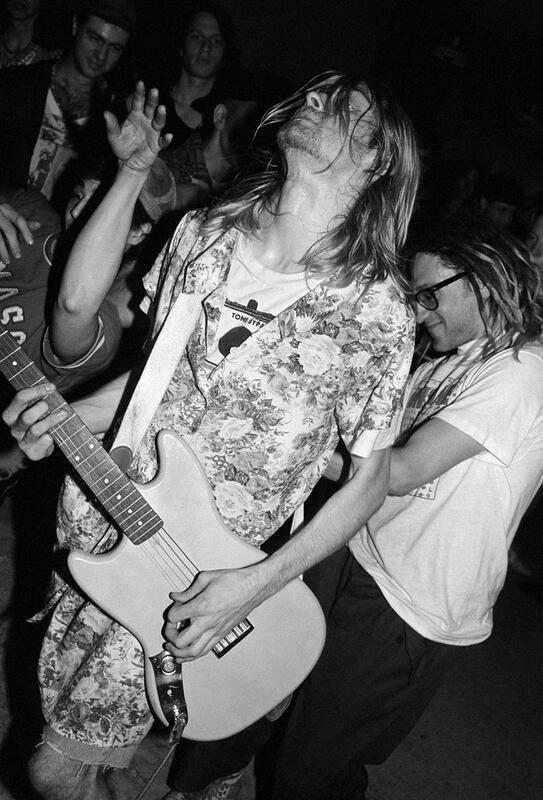 Cobain, an outspoken feminist and gay rights advocate, would often dress in feminine pieces of clothing. Leopard-print faux-fur coats, women’s blouses and floral baby-doll dresses worn over his jeans were all staples of his wardrobe. These items suggest he wanted fluid ideas about dressing and gender roles in the mainstream. 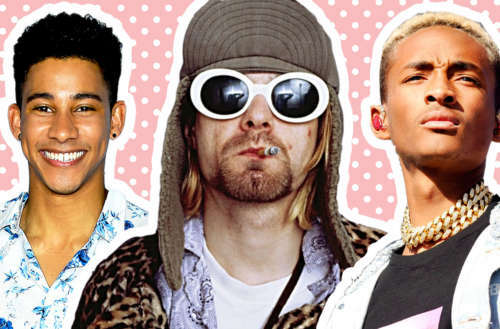 A large reason why some men aren’t afraid to don these looks in 2018 is because Cobain paved the way for them to be express themselves in more ways than one. 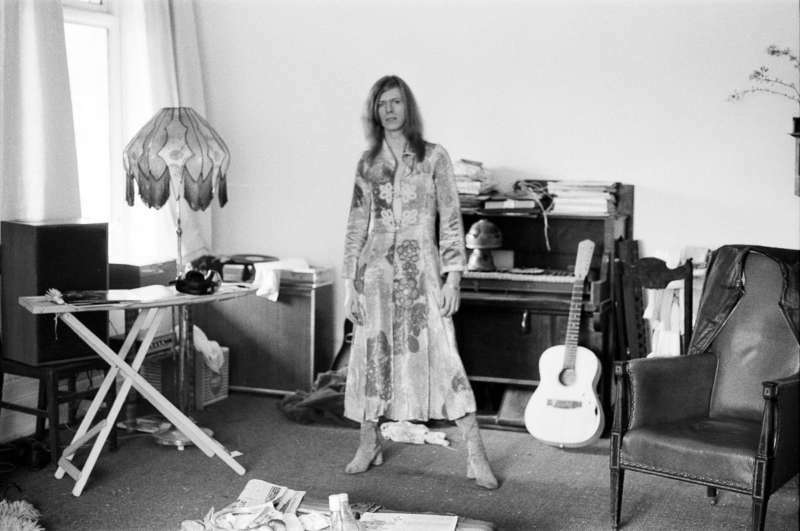 David Bowie basically invented the notion of men playing with gender by using fashion as a way to liberate himself and his music from the confines that mainstream tried to place upon it. “I loved how he challenged people about how gender was represented,” says Adam Lambert of Bowie’s contributions to fashion. The out designer has never been afraid to push boundaries with his own work, or what he puts on his own body. To the 2012 Met Gala, one of the most important nights on the fashion calendar of the world, Jacobs wore a “controversial” lace dress, saying, “I just didn’t want to wear a tuxedo and be boring.” The long black tunic by Commes des Garcons was worn over a pair of white boxer shorts, black socks and pilgrim shoes. 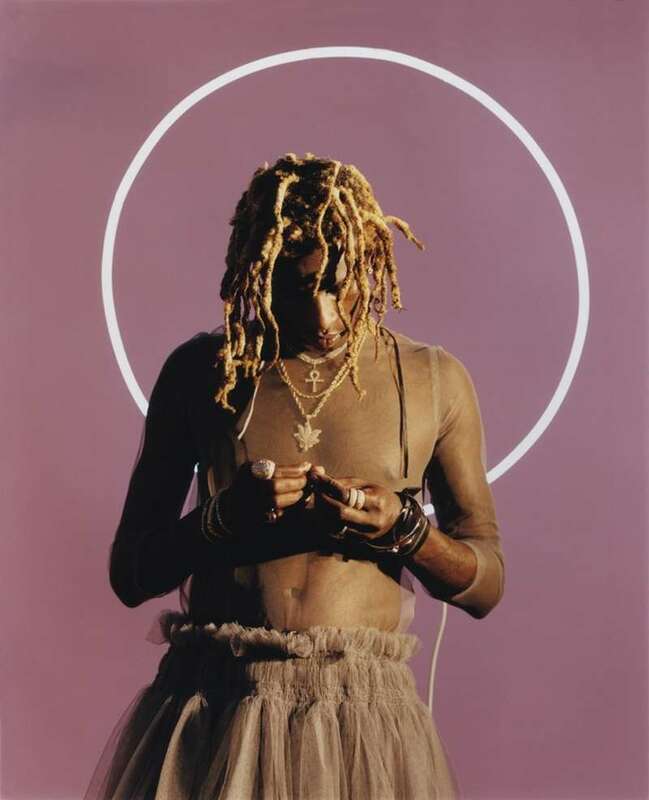 Young Thug is one of the most androgynous male celebrities in the public eye right now and we need to recognize that. He did a cover shoot for Dazed and Confused back in 2015 that is a perfect representation of what “androgyny” can look like in pop culture. Especially being in hip-hop, Young Thug has more obstacles to overcome than David Bowie in glam rock or Marc Jacobs in fashion to express himself this way. But the eccentric rapper known for wearing leopard-print dresses just because he can, is actually getting respect from his peers and fans for expressing himself in such an original and authentic way. Did we miss one of your favorite male celebs who wear dresses?